Toronto based sculptor and painter Donnas Zekas, has participated in numerous exhibitions including solo, duo and group shows. She is represented by Dimension and The Al Green Galleries as well as Rue Pigalle. The artist began by immersing herself in sculpting workshops, then while attaining her diploma at the Toronto School of Art broadened her focus to include a variety of painting mediums. Zekas went on to study visual arts at Loyalist College, the Haliburton School of Fine arts and with various professional artists in North America and Europe. 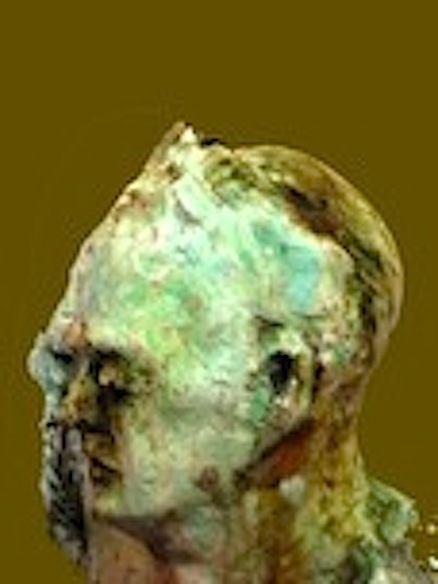 Zekas continues to experiment with new techniques including the multi-layering of acid washes, patinas, pastels and paint, ultimately creating a diverse body of work and a fundamental artistic process.